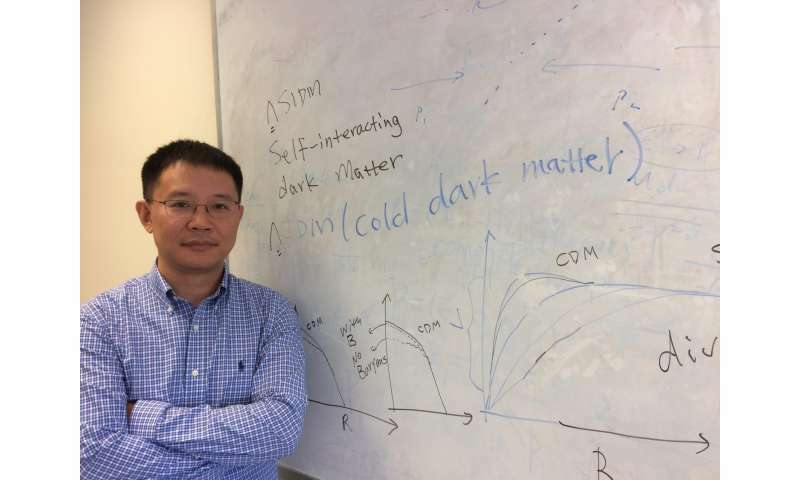 Hai-Bo Yu is an assistant professor of theoretical particle physics and astrophysics at UC Riverside. Credit: I. Pittalwala, UC Riverside. Identical twins are similar to each other in many ways, but they have different experiences, friends, and lifestyles. Instead of this nonsense, at some point a real scientist knows when a theory is disproved; he does not continue with more nonsense. A charge occupies all of space, get real! LOL, applying pseudoscientific mumbo jumbo to observation is by no means "pioneering". And it gets even more far-fetched and deeper into realms of pseudoscientific mumbo jumbo. A "dark force"... It would be amusing if it weren't such a sad state of affairs in the dark sciences. One of these days the plasma ignoramuses will be replaced by real scientists but until then we will continue to suffer from the idiotic imaginary conjecture of these charlatans in lab coats.